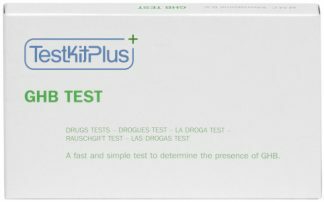 Use this kit to test for the presence of Ecstasy (MDMA, MDA, MDE), Speed (amphetamine) and other substances. 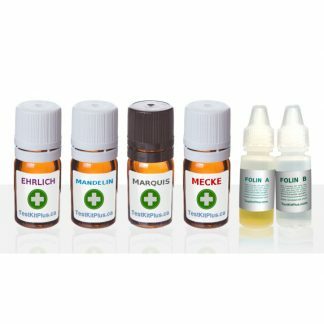 Our Ecstasy Test Kit includes what is also known as the “Marquis reagent”. 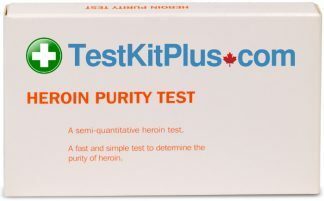 It was the first test kit available and should be your primary test for Ecstasy (a.k.a. “Molly”). 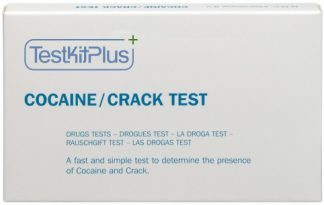 Besides testing for Ecstasy and Speed, this kit will detect a range of other substances. 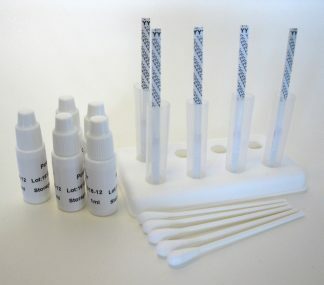 A chart showing color reactions, as well as a multi-use testing vial, are also included with the kit. Results may vary depending on sample impurities, adulterants, and other factors. MDMA and MDMA-like substances (MDA, MDE) will turn from purple to black quite quickly – usually in less than 10 seconds. To differentiate between MDMA, MDA, and MDE, use the Folin test. DXM (used in cough suppressants) turns from gray to black relatively gradually. Therefore, if you don’t see dark purple or black during the first few seconds of the reaction, what you have might not be MDMA. Speed (amphetamine) turns from a reddish orange to a dark reddish brown. If your sample contains both Speed and MDMA, both substances will react at the same time, yielding possibly a reddish or muddy color. The testing vial that comes with the kit helps prevent your skin from contacting the reagent while testing. Extra testing vials are also great for when you’re on the go. But, using a white ceramic plate can help you see the results more easily. It’s always better to test with multiple test liquids, as a double check and to screen for substances that don’t react with this test. 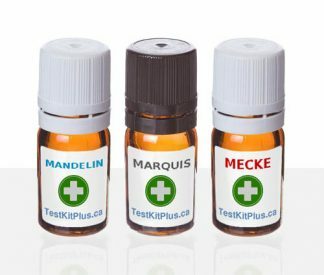 See the Mecke test kit and the Mandelin test kit. 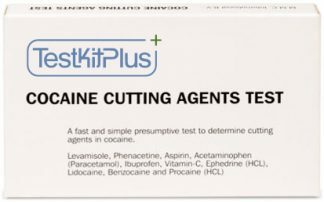 If you can afford it, we recommend the Essential Drug Test Kit (3-In-1 Bundle), or the Complete Drug Test Kit (5-in-1 Bundle). 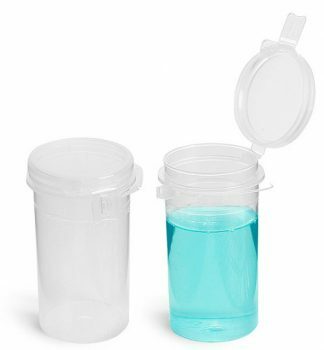 Hold the testing vial above the open plastic jar, so that if a drop misses the vial, it will land in the jar. Place 1-2 drops of the testing liquid from the dropper bottle onto the sample. DO NOT let the sample touch the bottle nozzle, or the reagent will get contaminated! Watch the color change over 30-60 seconds. Some reactions occur quickly (MDMA takes only a couple of seconds to turn dark purple/black). Other reactions take a longer time (aspirin and sugar gradually change color over the course of a few minutes). Compare the sample color with the color chart provided. Tightly close the dropper bottle. If you’re using more than one testing fluid, make sure you only open one bottle at a time. If you accidentally switch caps, the testing liquid will get contaminated and ruined. Thoroughly wash the testing vial after each use. Download the substance reaction comparison chart for the Marquis, Mandelin, and Mecke reagents (63KB PDF). While reagent testing is the best method for on-the-spot testing, it is never 100% conclusive. There are many variables that can impact the reaction. Lighting, impurities, and unwanted substances in your sample may all play a role. No drug (whether legal or illegal) is completely safe, we recommend avoiding all recreational drug use. Excellent product, does exactly what its supposed to. Showed up just in time. 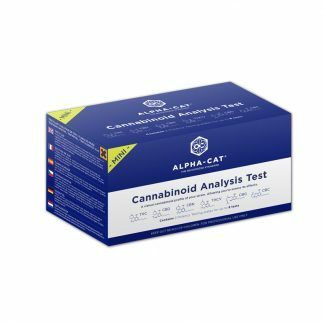 I would be sure to order at least 6 weeks before you need the tests. US customs held onto my package for a little while before sending it. I would highly recommend these. I orederd from Australia and arrived within the expected delivery time frame. I used once and it worked as explained in the description… the reaction was super quick and the sample turned into dark purple so it looked like I’ve got MDMA… however I haven’t tray the substance yet so I hope it matches what the testkit shows… let’s see what happens, I’ll try it out soon and let you guys know ! Thank you for your post. Your order was shipped on Nov. 19th. While the indicated transit time is a best estimate, there may sometimes be delivery delays, especially if your parcel needs to go as far as Ukraine. Please be patient, as your parcel should arrive within a week or so. Shipping with tracking wasn’t chosen at checkout, which is why you didn’t receive a tracking number. Please feel free to contact our support department should you have any other questions. Hello! I am very satisfied with the product. It’s really cool to have a way to protect my consumption! Thank you for the discretion in sending too. I highly recommend your company.